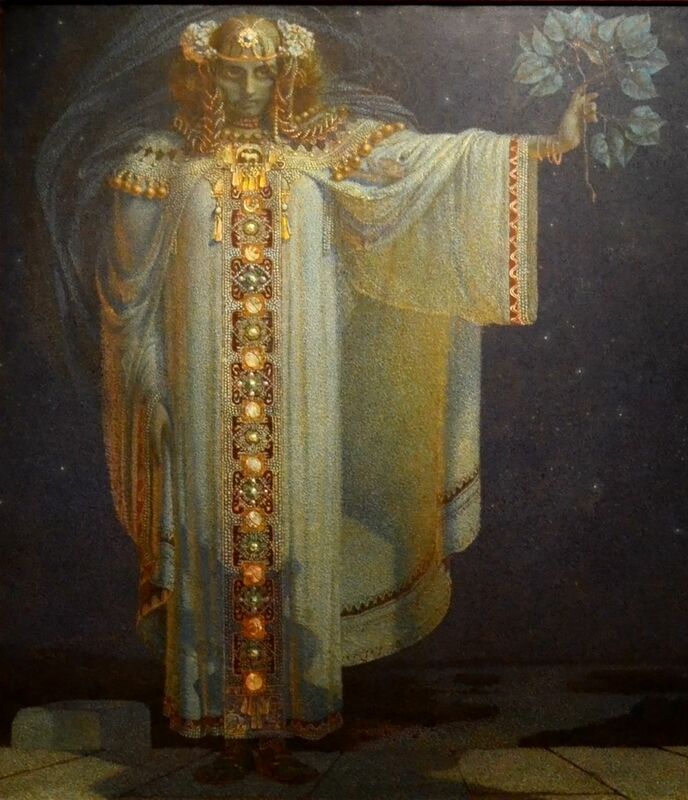 This rather dyspeptic looking young woman, dressed in all her Art Nouveau finery, is the princess/prophetess Libuše, mythic mother of the Czech nation and founder of Prague. It wasn’t until the nineteenth century that Czech nationalism really got going. One of its prime movers was Bedřich Smetana; his opera Libuše and the six tone poems that comprise Má vlast (My country) both culminate in joyous affirmation and celebration of Czech nationhood. This entry was posted in Opera, Orchestral, Tone Poem, Vocal and tagged Libuše. Bookmark the permalink.